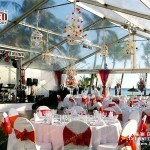 Nowadays,Tents have become the most popular temporary structure for outdoor events. 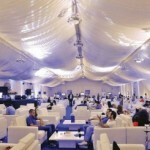 More and more people have higher requirements on the decoration of inside of the tent. 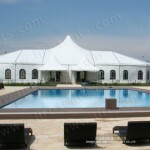 With good decoration,tents can be practical and elegant. If not,it will make bad impression on people. 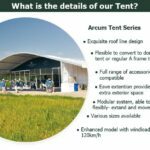 Making full use of the roof lining is the best to increase the elegance of the tent.